Leading Malaysian international racing driver, Jazeman Jaafar, resumes his season of World Series by Renault racing at Budapest this weekend, with the seventh round of the Formula Renault 3.5 Series. 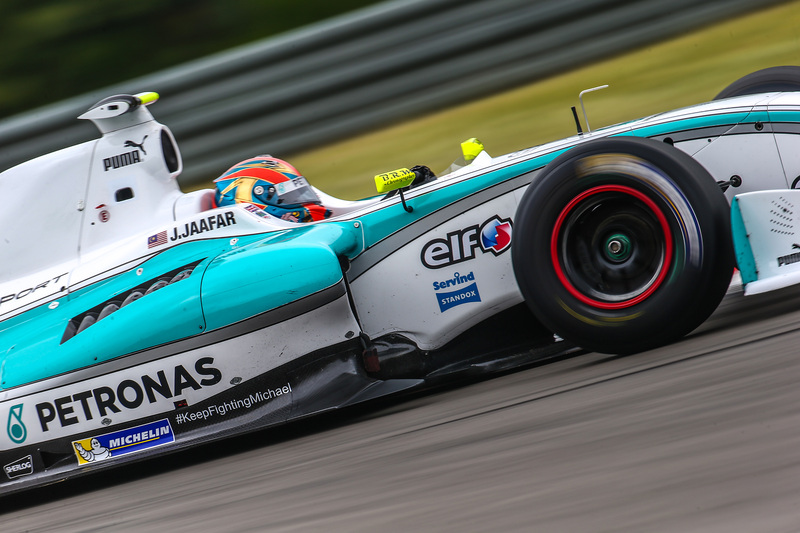 After a seven week break Jazeman is keen to get back behind the wheel of his ISR Racing Dallara in Hungary. The PETRONAS supported driver has enjoyed a short vacation at home in Kuala Lumpur, but has also been busy with promotional duties and keeping his fitness levels high for the second part of the season. The Budapest circuit, a track used for the Formula One championship, is one which is often compared to Monaco as it is quite a twisty track with no long straights – the longest is the start/finish. The corners are slow to medium speed with short braking distances and it’s also quite bumpy. Jazeman arrives in Budapest from Portugal, where he was testing a 2012 MERCEDES AMG PETRONAS F1 car at the Portimao circuit. As a PETRONAS Talent Development driver this was the fourth time that Jazeman had driven an F1 car and is a valuable training opportunity for the Malaysian driver. The first race at the Hungaroring takes place on Saturday 13th September at 14.00 local time and the second race at the same time on Sunday 14th September. Check Eurosport website for local TV schedule.